The Basic Court of Pristina announced the 30-day detention of three Serbs arrested the day before, suspected of their involvement in the killing of the local Serb politician Oliver Ivanovic. The suspects were arrested Friday by Kosovo police in northern Mitrovica during an action in the early hours of the morning. In a court announcement it is stated that "the criteria and the grounded suspicion that the defendants N.S, M.R and D.M have committed the criminal offenses on the basis of the evidence, are also fulfilled, and the special conditions for determining the pre-detention measure are met". The notice states that "the court has also found that the request for detention on remand against the defendants NS, MR and DM is an appropriate and necessary measure at this stage of the proceedings to ensure their presence in criminal proceedings and development without prejudice to the procedure, based on the manner and the circumstances in which the offenses were committed and their weight. If the defendants remain in liberty, they could repeat the same or similar criminal offenses," said the court's announcement. The leader of the Serbian Civic Initiative, "Freedom, Democracy, Justice", Oliver Ivanovic was shot dead on January 16 this year in northern Mitrovica. 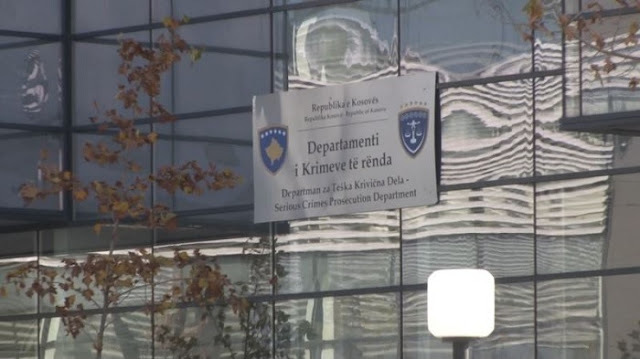 The accused are members of the Serb community and two of them are members of the Kosovo police. The Special Prosecution of Kosovo has announced that the accused are suspected of assisting in the killing of Oliver Ivanovic. According to the prosecution about 40 witnesses have been interviewed for the murder of Mr. Ivanovic so far.